I have previously written about the travails, visited upon themselves, by the Wyly brothers, Sam and Charles, very wealthy men who decided that they did not have to play by the rules. All blog entries on the Wyly's are here. The Wyly brothers lost a previous round on disgorgement by the SEC. See Wylys Ordered to Disgorge Hundreds of Millions of Tax Benefits With Interest (Federal Tax Crimes Blog 9/27/14), here. 1. The issues (p. 418, footnote omitted): "First, did Sam and Charles commit tax fraud? Second, if they did, what role, if any, did Dee have in that fraud?" 2. The conclusion as to Sam and Charles (p. 419): "the Court is convinced — by clear and convincing evidence — that Sam and Charles committed tax fraud." 4. Then, pursuant to the advice, "an individual residing in the IOM [Isle of Man] who Sam barely knew, King, settled a trust in February 1994 naming Sam and his family members as beneficiaries." The factual predicates stated in the documents for the new trust were false. But, Sam began acting as if the façade was real. Sam starts transacting business through it offshore by undertaking two more complicated private annuity transactions in 19961672 and a myriad of extremely complicated real estate transactions involving, among other things, homes, an art gallery, and an office for himself and other family members in Texas and Colorado in the late 1990s and early 2000s1673—all tax and reporting free. I wanted to take this opportunity to let you know what a pleasure it has been knowing you over the past years and dealing with you on both business and social matters. I appreciate your many courtesies. As you know, I have established a trust with Wychwood Trust Limited, called The La Fourche Trust, for the benefit of you and your family, and have provided this trust with the sum of $25,000.00. This is to show my gratitude for your loyalty to our mutual ventures and your personal support and friendship. I hope that, wisely managed, this trust fund can grow for many years and inure to the benefit of many generations of your family. did Sam not wonder why King and Cairns, one individual he barely knew and the other who he did not know at all, each settled a trust with $25,000 in the IOM and named him and his wife and children as beneficiaries? Perhaps that happens all the time in Sam’s life, but if it happened in mine, I would be asking questions—lots of them. Let me be clear, that Sam’s directions to the offshore trustees was usually done through the formality of Sam making his “wishes” known to them—directly or through the trust protectors he appointed—is of little consequence. The IOM trustees never refused to follow Sam’s “wishes”—even when that made little sense—as they understood that their jobs depended upon it. If a Sam “wish” was not granted, they would be removed—plain and simple. 7. As to Sam's claim that he did not know, "The Court does not believe that the law permits Sam to hide behind others and claim not to have known what was going on around him." At the same time, the Court is equally convinced that Dee is innocent of any wrongdoing. That she did not know the details of what Sam and Charles had done offshore is clear. And, there was nothing that should have “tipped her off” that something was amiss. She did not commit fraud, she did not participate in any fraud, she was not willfully blind, and she is entitled to the benefit of the innocent spouse defense. While the facts are complex, the holdings summarized above are, in my opinion, straight-forward once the court found the facts. Accordingly, I don't feel it necessary or appropriate to write further on them. But, there was one facet of the Court's opinion that I found particularly interesting. This involved the court's treatment of expert opinion proffered by the Wylys. That discussion is p. 6 - 17 of the pdf opinion. First, I offer some background. 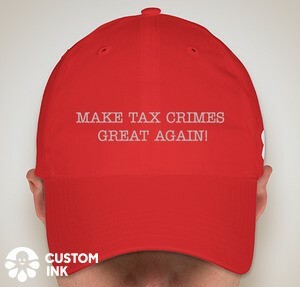 In James v. United States, 366 US 213 (1961), the Supreme Court held that uncertainty as to the tax law's command precludes criminal prosecution for violating that uncertain command for a tax crime, such as evasion, requiring willfulness. The willfulness element of most tax crimes requires that the person intend to violate a known legal duty. In order for a person to have that intent the duty must be objectively knowable. (As I have sometimes said, the willfulness element requires both a known legal duty (known as to the defendant) and a knowable legal duty (objectively knowable so that any defendant can be held to the standard.) Hence, the cases are clear that uncertainty as to the law's command precludes willfulness and, necessarily, any crime that has willfulness as an element. See e.g., E.g., United States v. Garber, 607 F2d 92 (5th Cir. 1979) (en banc); United States v. Critzer, 498 F2d 1160 (4th Cir. 1974) ; United States v. Dahlstrom, 713 F2d 1423, 1427 (9th Cir. 1983); and United States v. Harris, 942 F2d 1125 (7th Cir. 1991). As in the cited cases, one of the "defenses" to tax crimes requiring willfulness is to show that the law's command is uncertain. For more discussion of this issue, see Saltzman & Book, IRS Practice and Procedure, ¶ 12.05[b][iii] Complexity and uncertainty in the tax law (Thomson Reuters/Tax & Accounting, Rev. 2nd ed. 2002 & Supp. 2015-3). There are some civil analogs imposing punishment on a taxpayer for conduct that would be deemed evasion. The two most frequently encountered are the civil fraud penalty in § 6663, here, and the unlimited statute of limitations in case of a false return with intent to evade in § 6501(c)(1), here. See Anderson v. Commissioner, 698 F.3d 160, 164 (3d Cir. 2012), cert. denied ___ U.S. ___, 133 S. Ct. 2797 (2013) (“the elements of evasion under 26 U.S.C. § 7201 and fraud under 26 U.S.C. § 6663 are identical.”); and cf. BASR Partnership v. United States, 795 F.3d 1338 (2015) (§ 6501(c)(1) and 6663 interpreted in pari materia). Hence, one can infer -- correctly, I think -- that uncertainty as to the law's command will negate those civil "penalties" turning on fraud. In whichever context the issue of uncertainty arises with respect to fraud, the issue becomes how the uncertainty may be shown. In James, the Supreme Court's own earlier opinion established the uncertainty, so the Court did not have to delve deeply into how uncertainty is shown as to the law's commands. Of course, it follows that all of the tools of statutory interpretation are available to show uncertainty in the law within the meaning of James and its progeny. But, the issue has arisen in several cases and in the bankruptcy opinion in Wyly as to whether there might be other sources that might be used to show uncertainty. Specifically, in other cases and in Wyly, the issue was presented whether expert testimony can be admitted to show practitioner and, by inference, taxpayer uncertainty as to the law's command, thereby showing uncertainty at to the law's command. Rubenstein is a lawyer and partner at the firm of Katten Muchin Rosenman, LLP. The Debtors offered Rubenstein as an expert in “trust and estate law and taxation of trusts, with specific experience and knowledge regarding these areas during the 1990s, and also as an expert regarding practices concerning the establishment and administration of foreign trusts during the 1990s.” Rubenstein was to provide “an opinion as to how practitioners advised clients with respect to the application of the grantor trust rules to foreign trusts during the 1990’s (the ‘relevant time period’) and how foreign trusts, as opposed to domestic trusts were drafted and administered at the time.” The purported purpose of Rubenstein’s opinion is to assist the Court in the evaluation of the Debtors’ reasonable cause defense to their failure to file Forms 3520, 3520-A, and 5471, as well as to assist the Court in its evaluation of the Debtors’ alleged fraudulent intent for purposes of the IRS’ recovery of fraud penalties under 26 U.S.C. § 6663. 1. The court is the sole decider of the law. Rubinstein's legal opinion is not relevant to the Court's determination of what the law is or was. Testimony such as this—which explained black letter law as it stands today or as it stood in years past—consisted of legal conclusions and was therefore inadmissible. This Court is capable of determining the law applicable to the Cases on its own, without Rubenstein’s assistance. All of Rubenstein’s testimony that simply told the Court what the law was or is will be stricken. However, not all of Rubenstein’s testimony consisted of statements that were simply impermissible legal analysis, opinions, and conclusions. In addition to giving general statements of both past and present law, Rubenstein also made statements that the law that governed offshore trusts and the tax treatment of such trusts during the relevant time period was, in the eyes of many practitioners, including him, uncertain. The purported purpose of this testimony was, again, to assist the Court in assessing the Debtors’ reasonable cause defense and the presence or absence of fraudulent intent1 — i.e., according to the Debtors, given the fact of uncertainty among experienced tax professionals, how could the Debtors possibly have acted with fraudulent intent here? More specifically, the Debtors argue that if lawyers practicing in the area of cross-border trust and estate taxation felt that the law governing the taxation of offshore trusts like the ones at issue here was uncertain, then this in turn would tend to corroborate that the Debtors were uncertain about the state of the law, and any missteps that the Debtors made in following that law would be more reasonable and less likely to be fraudulent. The admissibility of this testimony regarding the fact of alleged uncertainty among members of the cross border trust and estate and tax bars as to how to interpret and apply the law during the relevant time period was a close call. 4. The Court said that, on the evidence, Wyly may have had some knowledge of the uncertainty. So, the legal uncertainty may have affected his conduct and therefore the expert opinion is relevant and admissible, although the Court gave it little weight. In closing out the analysis of the IRS’ first argument—that Rubenstein’s testimony consisted of impermissible legal conclusions—the Court will identify other testimony that Rubenstein gave that did not consist of impermissible legal conclusions. Although Rubenstein is a lawyer, this does not automatically mean that all of his testimony must therefore consist of statements of the law or legal conclusions. Rubenstein is permitted to “testify as to legal matters when those matters involve questions of fact.” Here, Rubenstein offered testimony as to whether certain practices—such as the settlement of trusts with nominal amounts of money, the use of protectors with expansive powers, or the use of “accommodation grantors”—were viewed as normal or proper by the cross-border trust and estate and tax bars during the relevant time period. The question of what members of the bar thought, as opposed to what the actual state of the law was, is a factual one. Although counsel for the Debtors or the IRS can explain what the true state of the law during the relevant time period was or is today via briefing or oral argument, proving what the cross-border trust and estate and tax bars thought the law was or how they viewed the law is a factual inquiry that requires resort to expert testimony as opposed to argument. Rubenstein’s testimony regarding the views of the bar during the relevant time period—like his testimony regarding the fact of uncertainty in the law during the relevant time period—is admissible. Despite these concerns, Rubenstein’s testimony that, during the relevant time periods: (i) the use of protectors in the context of foreign trusts was permissible and even common, (ii) de facto control of trustees by grantors was not out of the ordinary, and (iii) the use of “accommodation grantors” was thought to be legitimate is admittedly of some relevance here. It is helpful for the Court to understand that these practices—in and of themselves—were not considered to be inappropriate by the cross-border trust and estate and tax bars during the relevant time period. However, without any opinion as to whether the manner in which the Wylys themselves implemented their offshore system falls within the scope of the “usual” practices that Rubenstein describes, the Court can draw few useful conclusions from Rubenstein’s testimony. While the Court can conclude that, in at least some situations, the use of protectors, accommodation grantors, and other devices that Rubenstein described was seen by the trust and estate and tax bars during the relevant time period as appropriate, the Court has no way of knowing how these same bars would have viewed the Wylys’ particular uses of these same devices. Though there is admittedly some relevance to Rubenstein’s testimony, it is limited. A tougher issue is whether, if by the time the district court addresses the James issue in a criminal proceeding, the law has developed in the interim between the conduct in issue and the criminal case. Conceivably, there could have been uncertainty in the law at the time of the conduct, but such uncertainty could have been resolved later, before prosecution. The proper testing point as to uncertainty in the law should, logically, be the time when the conduct occurred, not the time the court addresses the issue in the criminal case or even in a civil case decided after the conduct in question. If there was some uncertainty in the law and the judge does not dismiss the indictment, can the jury be apprised of that uncertainty in order to permit it to assess whether the defendants as tax professionals would have known about the uncertainty and therefore could not have factually had the intent to violate a known and certain legal duty? Phrased this way, the issue is not what the law is or even what the state of law was in any objective sense (properly determined by the judge), but whether practitioners, in good faith, could have not known the law's command and therefore did not intend to violate the law. From this standpoint, expert testimony as to the state of law reasonably perceived by practitioners at the time would seem to be helpful to the jury in assessing the defendant's willfulness. Still, that is academic reasoning; most courts will find some way to avoid trial testimony from experts about arcane tax rules that may likely be more confusing than enlightening to the jury.